Jeremy leads a team that helps Barnum Wealth Management’s senior relationship managers develop personalized wealth management plans and innovation solutions to meet their current and long-term goals. 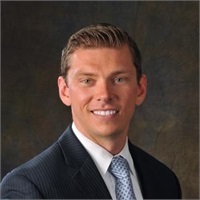 Jeremy holds credentials in areas including the financial needs of seniors and is both a Chartered Financial Consultant ® and a CERTIFIED FINANCIAL PLANNERTM professional. He holds a degree in economics from the University of Connecticut.